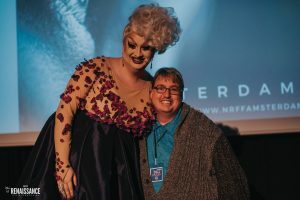 New Renaissance interviews director Coen Havers from the Netherlands and writer D-Matthew Barnes from the United States. 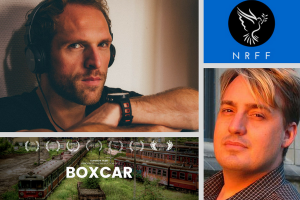 Both won awards at the AMSTERDAM 2017 New Renaissance Film Festival – Coen for his film ‘My Piece of Happiness’, and D-M for his short screenplay ‘BOXCAR’. 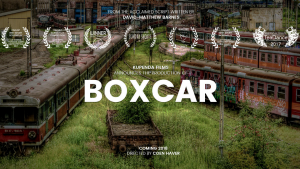 It brings us great pleasure to announce that after meeting at the festival, they have teamed up to make a film of ‘BOXCAR’. “On September 4th, they are launching a crowdfunding campaign on Cinecrowd. You can find it on www.cinecrowd.com/nl/boxcar. 1. Congratulations to you both on your recent success at the New Renaissance Film Festival in Amsterdam. How was your experience? Coen Havers (director at Kupenda Films) and D-Matthew Barnes (writer) talk about their upcoming film collaboration: BOXCAR. 2. How did the collaboration between the two of you come about? 3. What is the basic premise of ‘Boxcar’? 4. David-Matthew, what was the inspiration for this story and why do you think it has been so well received? 5. Following your recent success with the film short ‘My Piece of Happiness’ why did you decide to direct another short film, and in particular, ‘Boxcar’? CH: “The success of My Piece of Happiness, 11 screenings over 4 continents, was pretty unexpected. I mean, I’d never thought that this film would take me to Thessaloniki and Shanghai. Especially since we created this film in 48 hours. For my next film I wanted to work with more time on my hands, to see how it would improve my work. 6. You are based in the Netherlands and David-Matthew is based in the US. How do you plan to make this film together? 7. How do you intend to finance the project? 8. What inspired you to become a screenwriter? 9. David-Matthew, Could you describe your writing process? 10. Coen, what inspired you to direct films? 11. 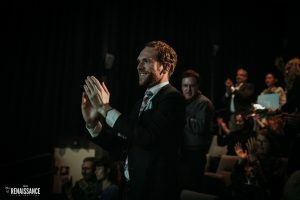 Is it difficult to get a film made in the Netherlands? Are the challenges the same as in, for example, the US? CH: “Since I’m not really familiar with ways of financing a film in US, it is hard for me to make a comparison. In Holland, it is pretty hard to get your film financed when you don’t have the support of the Netherlands Film Fund. There aren’t many commercial parties investing in films, because of the low Return On Investment. Still, I believe there are many reasons why they should invest. Call me stubborn, but I really believe you won’t achieve anything when you don’t know how to sell it. 12. How can people connect with you online and through social media?